← SAVE THE DATE for COSMOSIS! 1-year anniversary of ABOUT WOMEN. FREE ENTRY! PLUS CAKE AND BALLOONS! You do not want to miss this one! 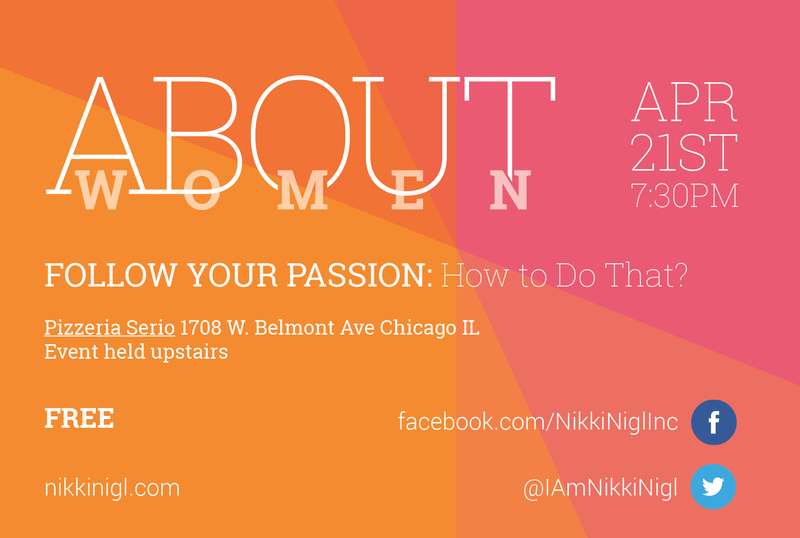 LADIES – Please join us for an evening of Presentation, Conversation, and Inspiration. Come on out and listen to 5 women share their personal story about how they are following their passion. A conversation will follow. Tell us your story. Join us for the discussion. Or sit back and listen – that’s ok too. This is a safe space to hear different sides of the story. Please come out and support these brave women telling their sides of things. This is a judgment-free zone. Once you come to one event, you can then get up and tell your story at future events based on the topic. Oh yeah! Sounds like a plan! Also – for those that got this invite – this event is open to ALL WOMEN and WOMEN-IDENTIFIED – so please share this event with your lady friends. The more women that come, the sooner we change the world – for the better. THANK YOU!